You know when you go to someone’s house and they cook you something so delicious you just HAVE to recreate it as soon as possible? 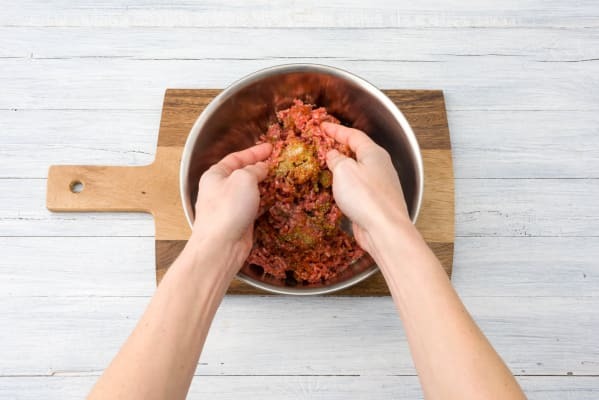 Well this is what happened when Mimi’s friend Livvy made these delicious lentils, they were all Mimi could think about for the next three days so she just had to share them with the HelloFresh family! Pre-heat your oven to 180 degrees and cut your sweet potatoes into roughly 1cm thick discs. Put them on a baking tray and drizzle over 1 tbsp of oil. Add ½ tsp of salt and a good grind of pepper. Make sure everything has a good covering of oil and pop them in the oven for 25-30 mins until cooked and slightly crispy. 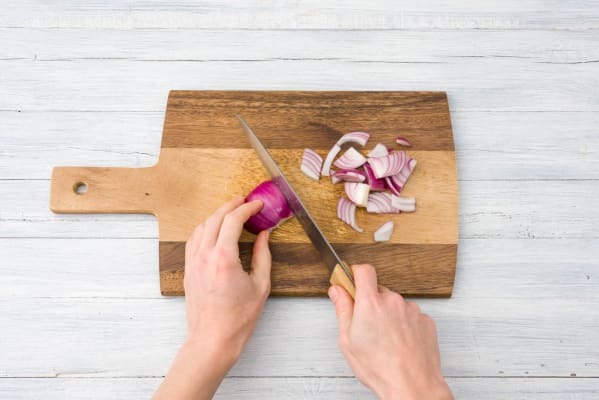 Peel and chop your onions into roughly 2cm pieces, pull your mint leaves from their stalks and finely chop. LH: Put your lamb mince in a bowl with half your cumin, half your ground coriander, your paprika, ¼ tsp of salt and a good grind of pepper. 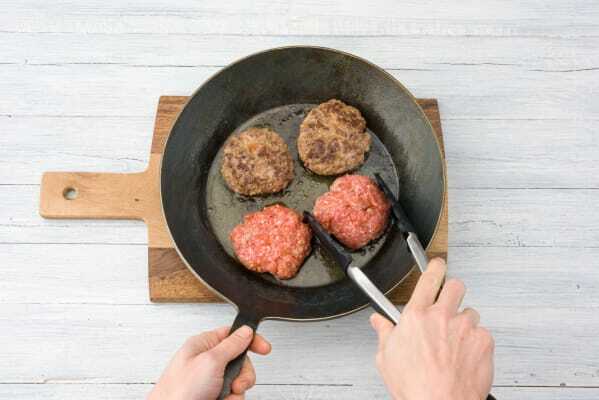 Mix together with your hands until well combined and then divide the mixture into eight patties. Add 2 tbsp of oil to a frying pan and add your onion, cook for 5 mins until soft and then add the rest of your cumin and ground coriander. Cook for a further minute. Drain and rinse your lentils in a sieve (if you have one) and add them to the onion, cook for 4 mins before putting a lid on the pan to keep them warm, taking off the heat and setting aside. Put 2 tbsp of oil in another frying pan and add your patties. Cook for 5 mins on each side until browned and cooked, then remove the pan from the heat. Add your yoghurt, chopped mint and 2 tbsp of lemon juice to your lentils and gently stir to combine. Take your sweet potatoes out of the oven. 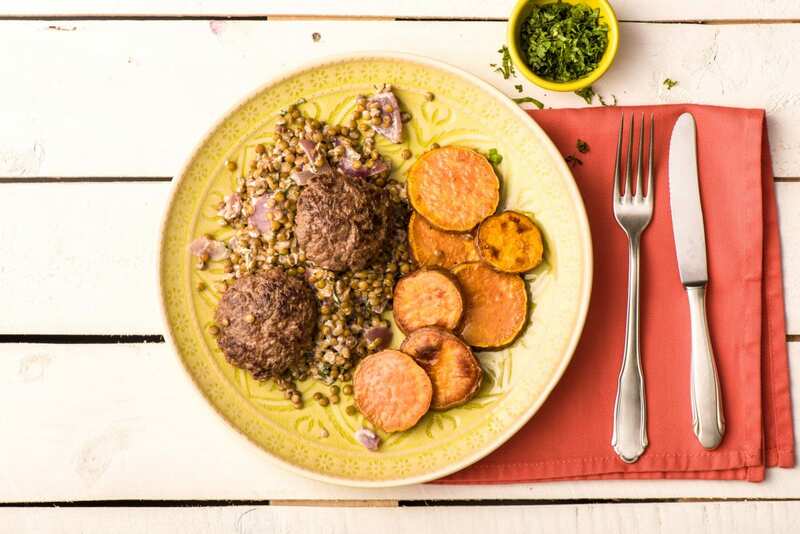 Serve your lentils with the patties on top and the sweet potatoes alongside. Enjoy!